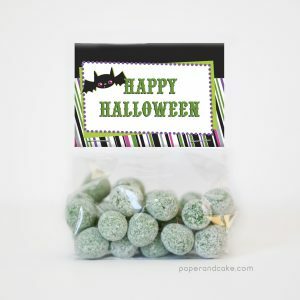 View cart “Trick or Treat Halloween Printable Photo Booth Props” has been added to your cart. 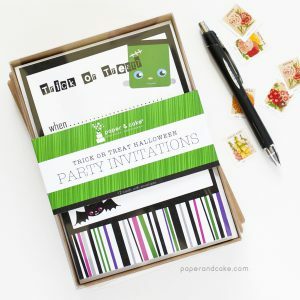 A dozen kid friendly Halloween party invitations. 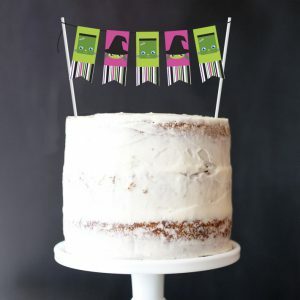 A kid friendly Halloween cake topper in pink and lime green. 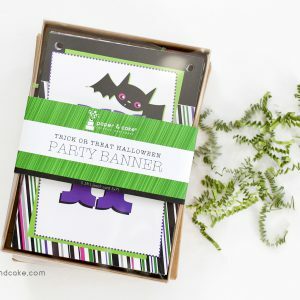 Ready-to-fill party favor bags with colorful bats, cats, witches and monsters. 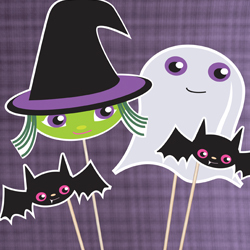 A ready-to-hang Halloween pennant banner with kid friendly characters.